It might be easy to write off Stompin' Tom Connor's music as cute, funny tunes but that would be overlooking were Tom got most of his inspirations from. Tom crisscrossed the huge expanse of Canada at a young age on freight trains and hitch hiking on the highways and back roads East to West and back. He played, mostly, in bar rooms and pubs and when he wasn't playing he was talking to the average Canadians. They told him their stories and he turned many of them into songs. Some where comical, some where serious but they all had their roots in the stories of the average folks of Canada. Connors was also a patriot. He proudly proclaimed himself Canadian and refused to go south to record in Nashville. Almost all of his tunes, he wrote himself. This one proclaims his colors in a song called 'Cross Canada'. If you're Canadian, sing it along with me and stand up straight and proud. This is a great land and as close to heaven on earth as you'll find anyplace. 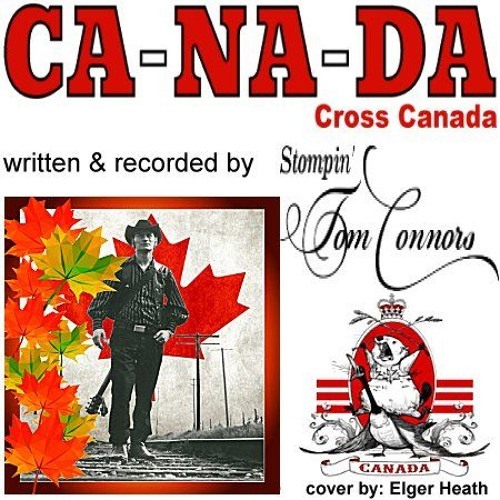 Here's my cover of Stompin Tom Connor's “Cross Canada”.